There are 37 numbers shown on a large spinning wheel. 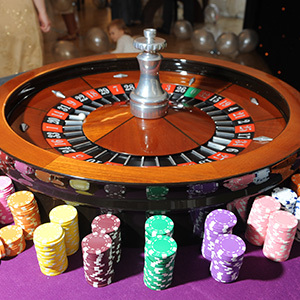 There is also a casino layout which matches up with those numbers from 0 – 36. 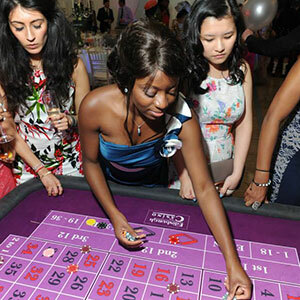 The aim of the casino table is simply to accumulate as many casino playing chips as possible by placing them on either individual numbers or groups of numbers. 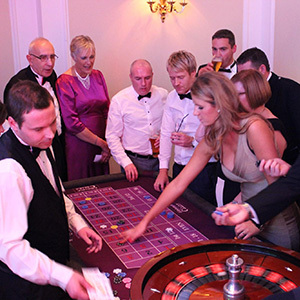 Not sure how to play roulette? Our croupiers are only to happy to explain the rules and teach you how to play (and hopefully win!). Please click here for a copy of the rules of Roulette.